Only had some small catch. I've never seen this fish before, is it another specie of leatherjacket? Oh my, I haven't seen such a triggerfish in our waters before. 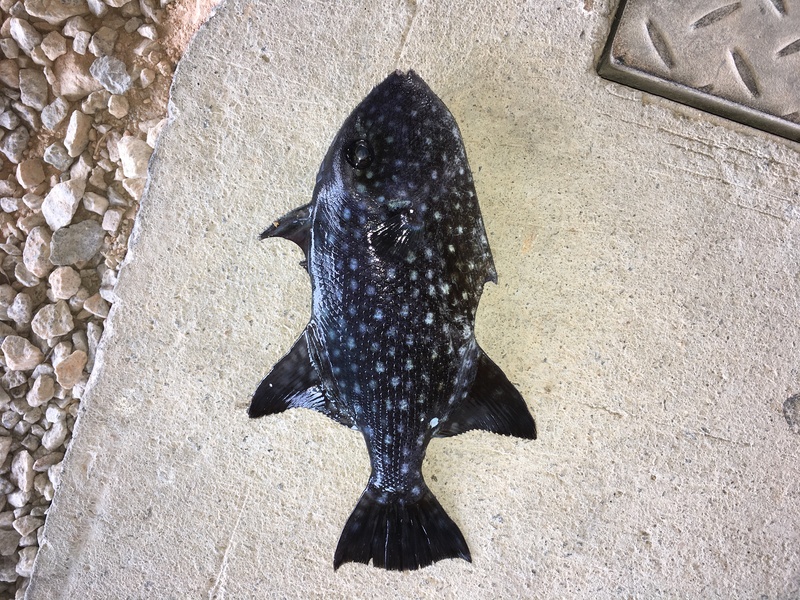 I think it's a Rough Triggerfish (Canthidermis maculatus), you can see more of the pictures here. Do you mind if I use your picture for HLF's fish library? 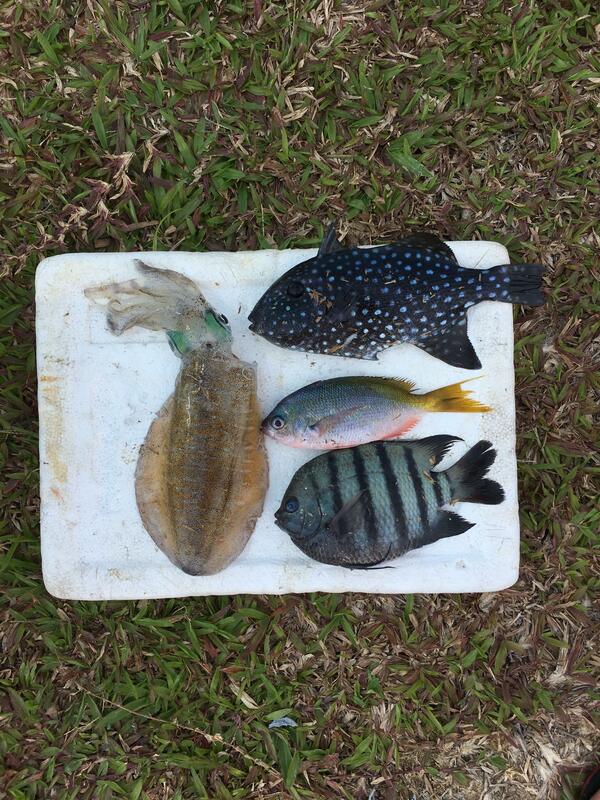 It's quite a catch, I would be very excited to catch that triggerfish. Peace wrote: Do you mind if I use your picture for HLF's fish library? Sure it was just swimming around at the surface of the water and took a small piece of cut prawn when I lowered it down beside it.